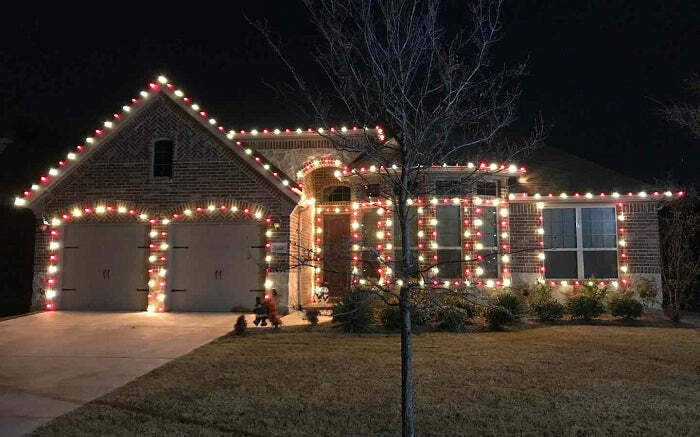 Looking for a way to light a space for the holidays, an outdoor barbecue, or a formal event? This cord is perfect combined with white tulle for a wedding, along snowy rooflines, or outlining Santa's Village. 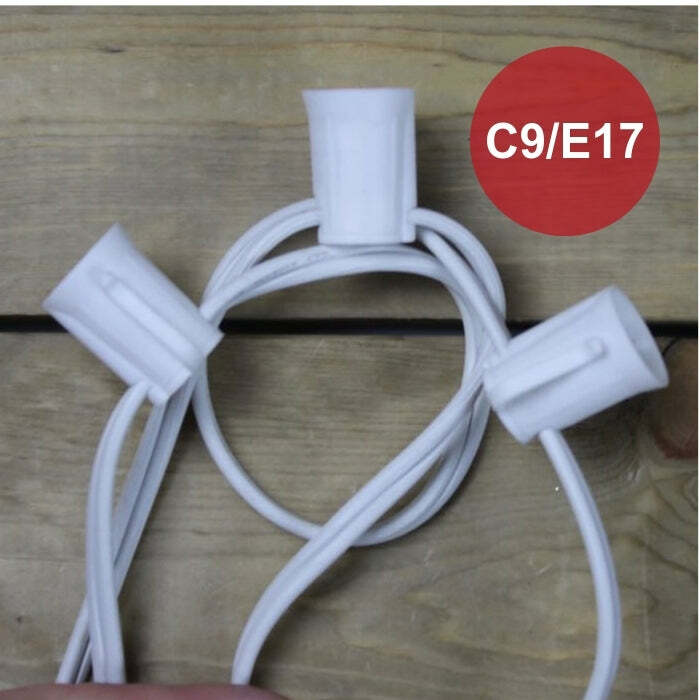 This C9 cord is ideal for a variety of uses, and with the ability to customize your bulbs by size and color, you can have a real show stopper. 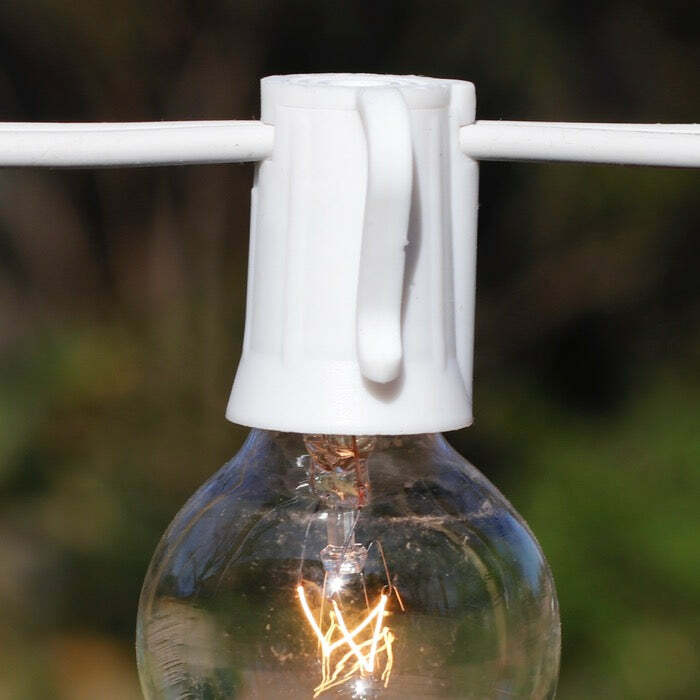 With 50 sockets to fill, we carry a large selection of C9 Incandescent Bulbs and C9 LED Bulbs. And if you looking for speciality bulbs, we carry G50 Incandescent and G40 Incandescent. Q: If I only need about 35 feet can this one be cut down and terminated on the one end? A: Yes these, cords can be cut and terminated. We suggest an electrician be consulted regarding all electrical modifications. Hope that helps, let us know if you have any other questions. 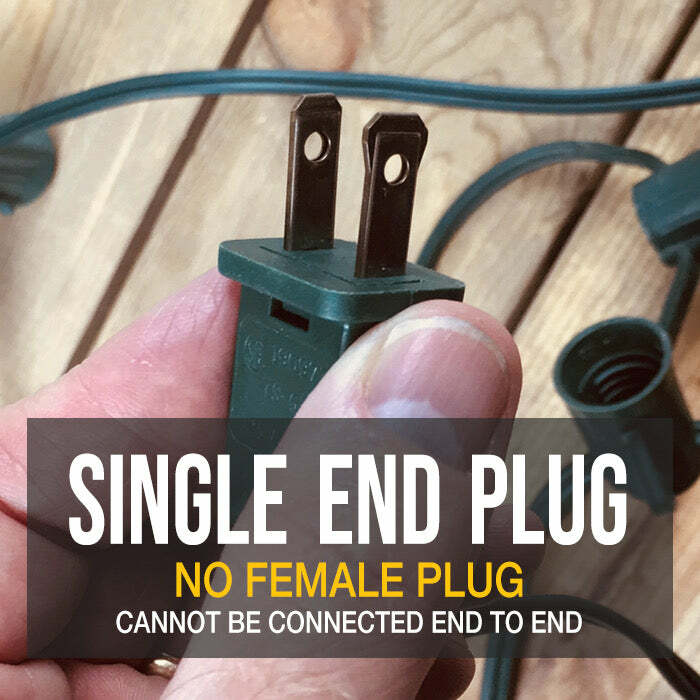 A: No, there is just a single male plug at the end of the cord. There is not female cord at the opposite end. We suggest that these cords be run in a T configuration from the splitter of your extension cord.